We are thrilled to see this project get started for Oxford Capital and architect Perkins+Will. Click provided structural and civil engineering services for the project located in the Oak Lawn area of Dallas. See what the Dallas Morning News has to say about this project. We are looking for a Project Manager to join our team! Please see our Careers page for more info about this position! 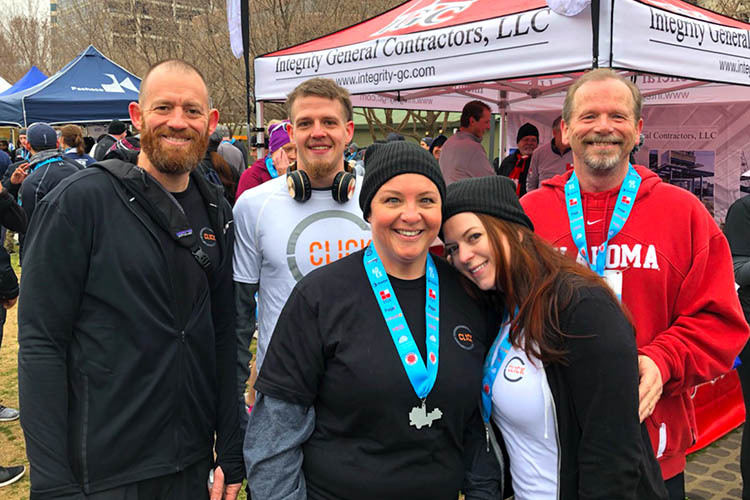 Team Click completed their second Form Follows Fitness 5k on Saturday, February 16th. The team powered through 30º weather and did great! We are already looking forward to next year’s race! 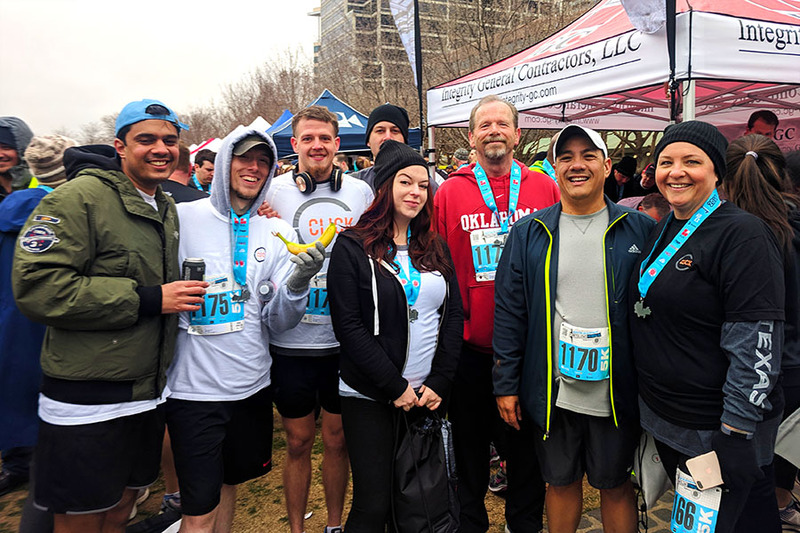 On February 17, 2018, employees from Click Engineering participated in the Form Follows Fitness 5K run at Klyde Warren Park. We all had a blast and look forward to doing it again next year! We are currently seeking a project manager or senior project manager. The applicant shall have their PE with 5+ years’ experience in the civil engineering discipline, and experience leading teams and projects in both design and coordination with clients. Learn more here! We are continuing to expand our civil engineering design sector and are looking for a project engineer. The applicant shall have either their EIT or PE, with 2+ years experience in the civil engineering discipline. Find out more at our Careers page. bcWorkshop and The Cottages at Hickory Crossing were honored by the AIA Dallas Chapter with a 2017 Built Design Award! The Cottages at Hickory Crossing construction was complete at the end of February of 2017 and is now home to 50 residents. Located on a three-acre site less than a half-mile from downtown, the Cottages at Hickory Crossing provides permanent supportive housing and support services for the fifty most chronic cases of homelessness in Dallas. Click Engineering provided structural design for the administration office and the cottages. We are excited to have contributed to such a great cause. We are continuing to expand our Civil Engineering Design sector and are looking for a Project Engineer. Please check out our careers link with details!